Here's where to watch every episode of Have I Got News for You season 46. Mouseover or tap an episode to see where to stream it. Click or tap the play icon to stream it on the best available service. David Mitchell, Danny Baker, Cathy Newman Oct 4, 2013 The popular news quiz returns, with team captains Paul Merton and Ian Hislop, guest host David Mitchell and guest panellists Danny Baker and Cathy Newman. Richard Osman, Dan Snow, Mark Steel Oct 11, 2013 The popular news quiz, with team captains Paul Merton and Ian Hislop, guest host Richard Osman and guest panellists Dan Snow and Mark Steel. Stephen Merchant, Hal Cruttenden, Gabby Logan Oct 18, 2013 The popular news quiz, with team captains Paul Merton and Ian Hislop, guest host Stephen Merchant and guest panellists Hal Cruttenden and Gabby Logan. Jo Brand, John Prescott, Gyles Brandreth Oct 25, 2013 The popular news quiz, with team captains Paul Merton and Ian Hislop, guest host Jo Brand and guest panellists Gyles Brandreth and John Prescott. Kirsty Young, Max Keiser, Tony Law Nov 1, 2013 The popular news quiz, with team captains Paul Merton and Ian Hislop, guest host Kirsty Young and guest panellists Max Keiser and Tony Law. Alexander Armstrong, Godfrey Bloom, Victoria Coren Nov 8, 2013 Alexander Armstrong hosts the news quiz, with team captains Paul Merton and Ian Hislop, and guest panellists Godfrey Bloom and Victoria Coren. Jack Whitehall, Janet Street-Porter, Richard Bacon Nov 22, 2013 Jack Whitehall hosts the news quiz, with team captains Paul Merton and Ian Hislop, and guest panellists Richard Bacon and Janet Street-Porter. Robert Lindsay, Alan Johnson, Katherine Ryan Nov 29, 2013 The popular news quiz, with team captains Paul Merton and Ian Hislop, guest host Robert Lindsay and panellists Alan Johnson and Katherine Ryan. Kathy Burke, Miles Jupp, Tim Loughton Dec 6, 2013 Kathy Burke hosts the news quiz, with team captains Paul Merton and Ian Hislop and guest panellists Miles Jupp and Tim Loughton MP. Martin Clunes, Bernard Cribbins, Jennifer Saunders Dec 13, 2013 Martin Clunes hosts the news quiz, with team captains Paul Merton and Ian Hislop and guest panellists Bernard Cribbins and Jennifer Saunders. 2013 Highlights Dec 20, 2013 A compilation of the popular news quiz that looks back at the big news of 2013. 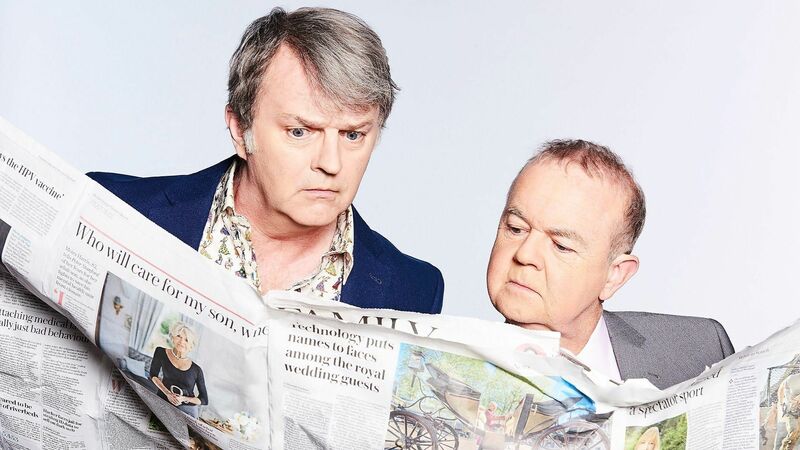 With team captains Paul Merton and Ian Hislop, and a variety of guest hosts and panellists.